CIPD, the professional body for human resource management, run their own annual conference to network with professionals and educate attendees about changes and trends within the industry. As the organisers of the show, CIPD’s stand needed to be prominent, and clarify their status as an industry leader. 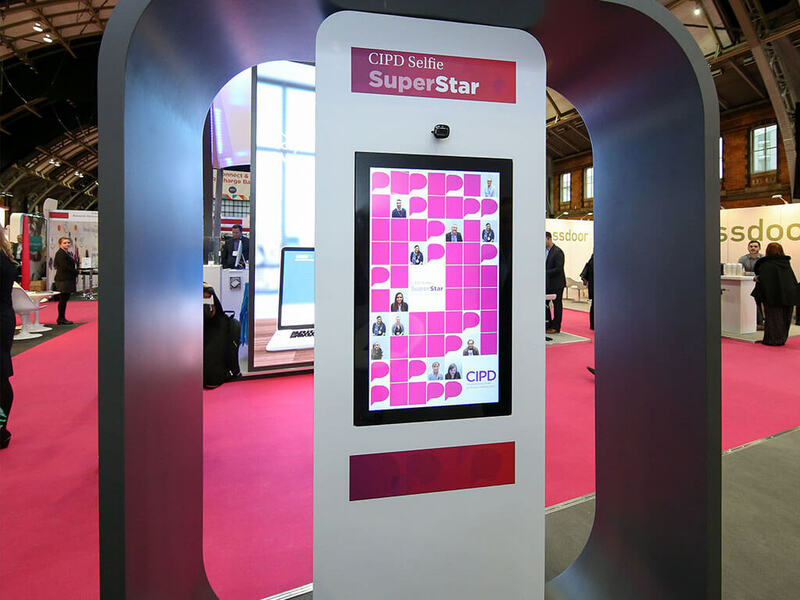 They also wanted to raise awareness of their exhibiting campaign ‘#CIPDSelfieSuperstar’, championing the people they support, and encouraging new membership sign-ups. 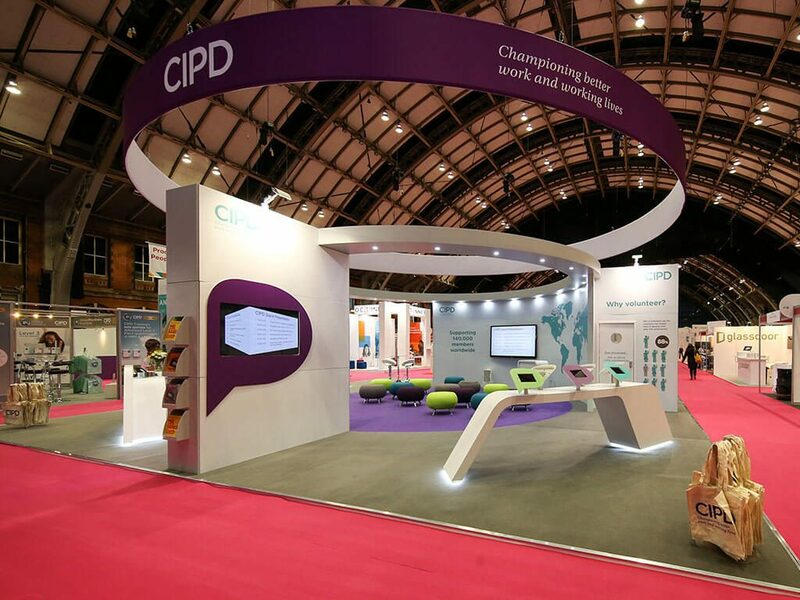 We hung a large branded circular rigged banner above the stand to create a landmark impression thereby making the CIPD stand a centrepiece at their own annual conference. The stand itself integrated campaign related content and powerful infographics to reinforce CIPD’s thought leadership. We developed a selfie booth which integrated each photo it took into CIPD’s #CIPDSelfieSuperstar campaign graphics in the form of poster adverts. 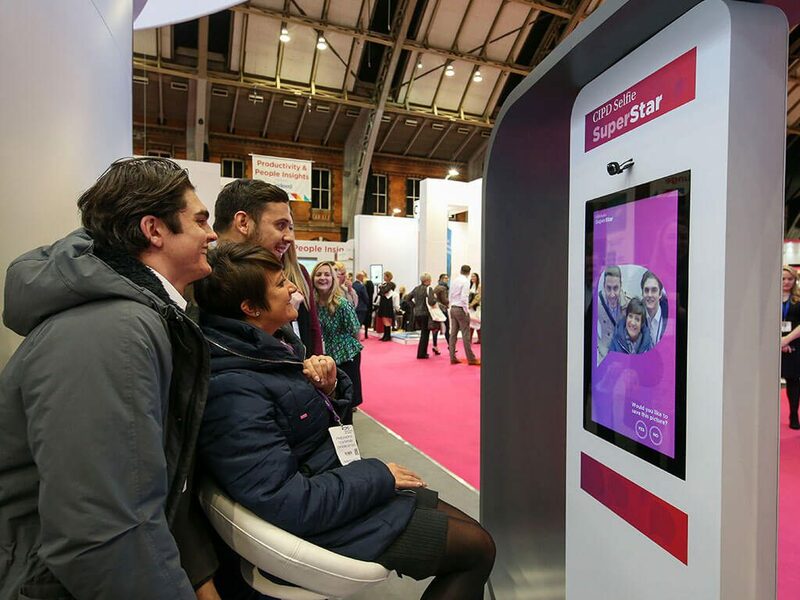 These adverts emphasised CIPD’s exhibiting campaign, and were displayed in real-time on the stand, pre-designed versions were also used to advertise the stand around the venue. In addition to this, the booth also captured visitor data for CIPD to use when following up with membership information. "Nimlok’ s response to our brief showed a genuine interest in our results and commercial objectives as well as wowing us with great design. We felt in good hands creatively and following a visit to their facility, had great confidence in their delivery credentials too. We’d always associated hiring anything with off the shelf kits, so were amazed that we could achieve so much with their clever blend of hired structure and bespoke made features. We were also very pleased to find a complete solution in one place. We love new technology, so transforming our data capture and presentation of information at the show to a new digital platform was exciting. While using new technologies always presents new challenges, being able to work with Nimlok’s team including their Head of Digital Engagement and AV manager, who supported us onsite, meant we got great results and they put us at ease. The dry run at Nimlok house the week prior to the event was also a new but very welcome experience too! 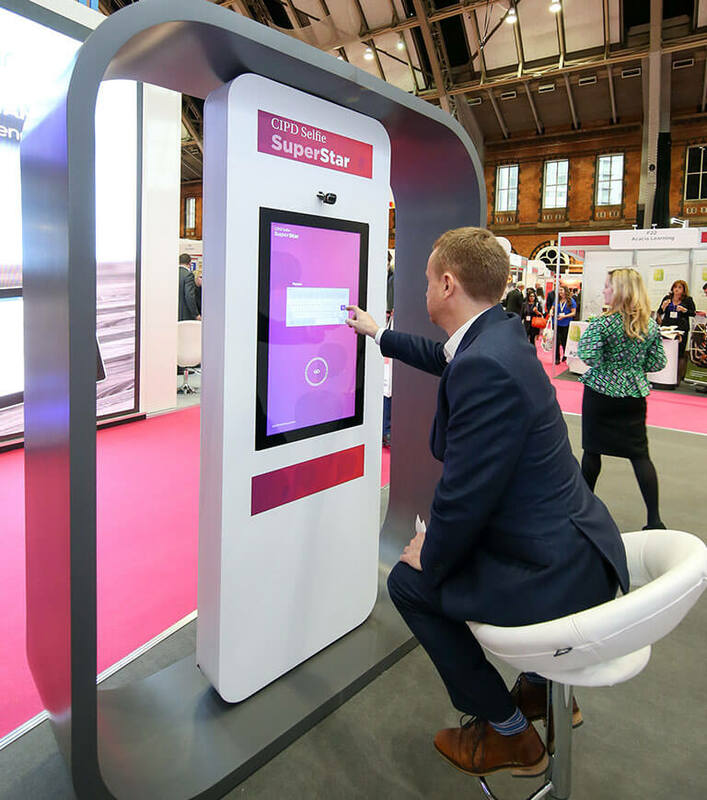 Our team, stakeholders and visitor’s feedback was all positive and with the huge increase in recorded enquiries, our exhibition ROI is now beyond doubt."